A little tea, a little beauty and a lot of Pug. So today was rarity, George & I both got the day off together this weekend! Yipee! 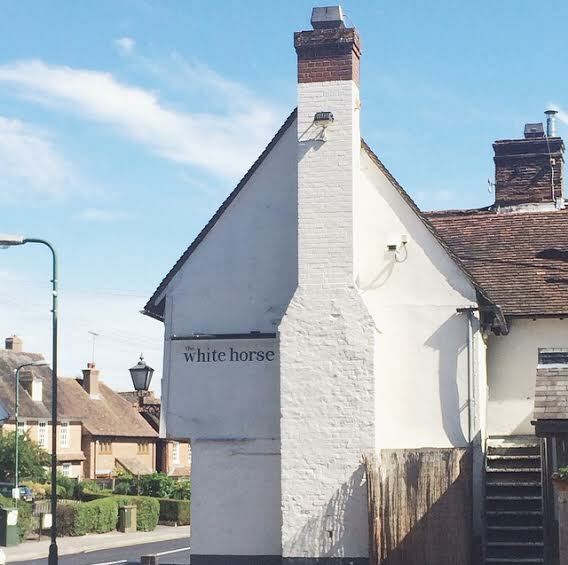 So we had a wonderful lie in, a chilled morning and then we headed out for lunch with friends to a beautiful pub called The White Horse in Bearsted. Abit of an awful photo in that it doesn't do the building justice, but we didn't head around to the front of building! But it's absolutely stunning, inside and out. And it was a beautiful sunny day today! 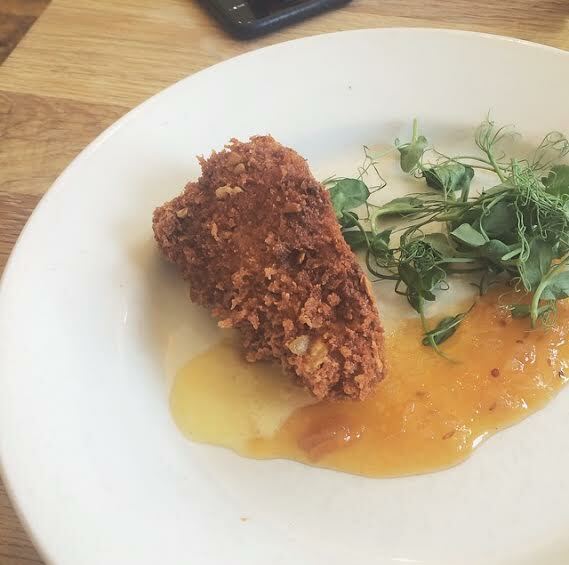 For starters I had Somerset Brie deep-fried in a pumpkin seed crumb with an apricot & cumin chutney - it was delicious! I've really began to love cheese lately, which usually I have hated. 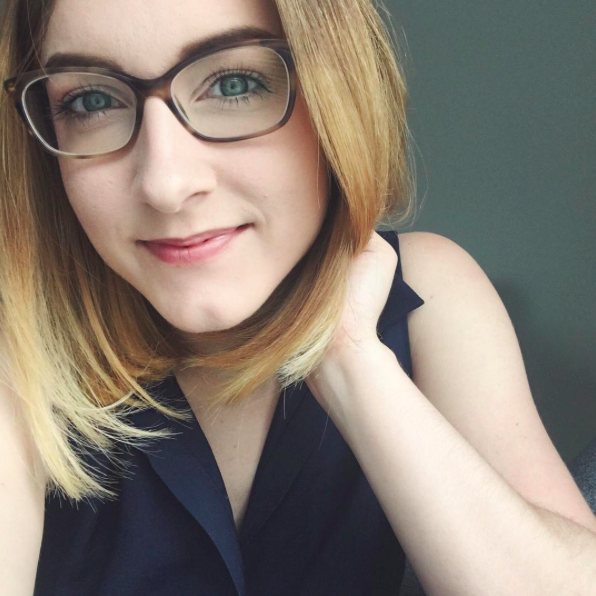 So this was something I would never have usually have chosen, but i'm so glad I took the plunge and tried something different for a change. Just look at that brie oozing out, it's making me hungry!! 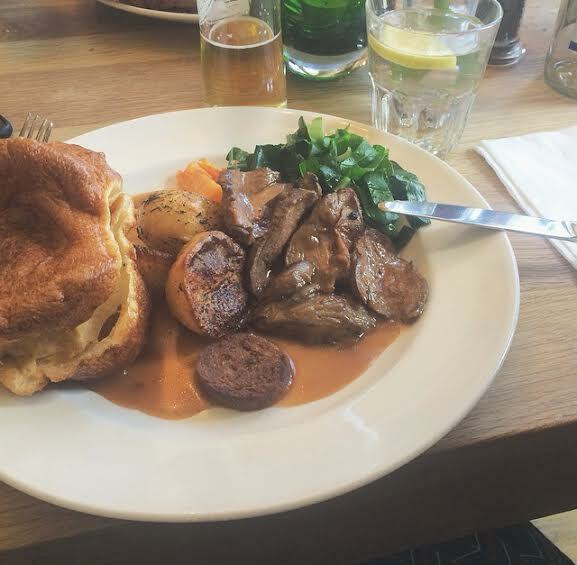 Then for a main I opted for a traditional Sunday roast, and I chose a leg of lamb for my meat. Yummy! Again, not the usual choice for me as I don't really like a roast (only because when living at home, my mum made a roast type dinner at least 3 times a week.. and I got a little sick of them, as delicious as they were). But I only chose it as the Crispy Duck salad I was eyeing up was unavailable today (boo!!). And then, naughtily - we went for dessert too! I had a passion fruit tart with a blackcurrant sorbet (sorbet is my ultimate favourite dessert) but I didn't get a photo of mine as the numpty who served it to me served my sorbet on a warm slate serving platter... so it melted, everywhere! Doh! 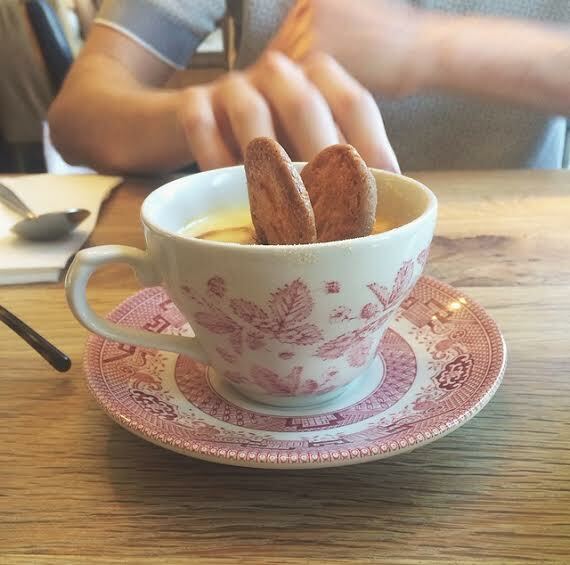 But I did get one of George's Crème Brûlée which was served in such a cool way, this vintage cup and saucer combo! I love it! 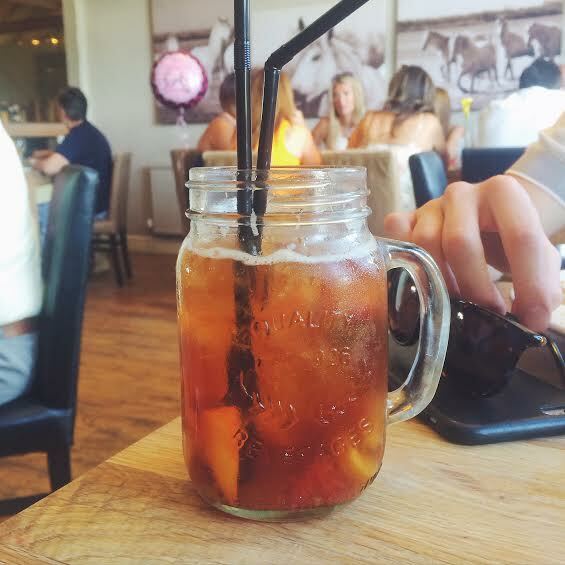 And to wash it all down, an obligatory Pimms! It was a beautiful afternoon and I really recommend this restaurant for if you're ever in town!! I can't wait to go back some time and eat more food!! I'm Paige! 23 and living in the Garden of England, Kent. If you like tea, a spot of sewing, dogs (particularly pugs) then I think we're going to get along just fine!